Last week I spent time in Chicago with my mom and dad. My dad works in Chicago, so my mom and I headed up there for week! On one of those days we did some shopping! I had Loft cash to use so I got this adorable lemon top with my cash! As soon as I put it on I was in love! Spotlight: Our spotlight of the week is Kim of Champagneista! Kim is covering all the trend of summer with this outfit! Her over the shoulder striped romper is parked perfectly with her blue tassel earrings! 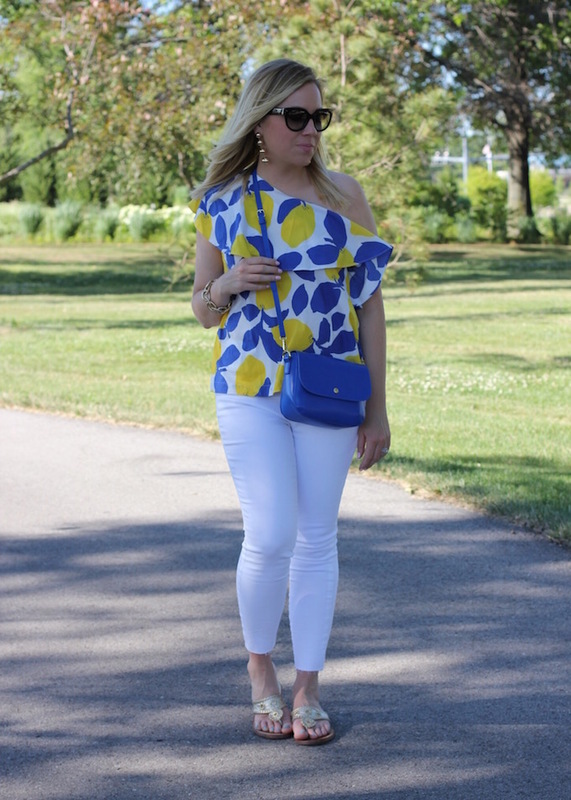 Such a great summer look! Be sure to check out her blog! ADORABLE!! One of my favorite outfits in you to date! Love the colors in this! You're the epitome of sweet summer beautiful lady! 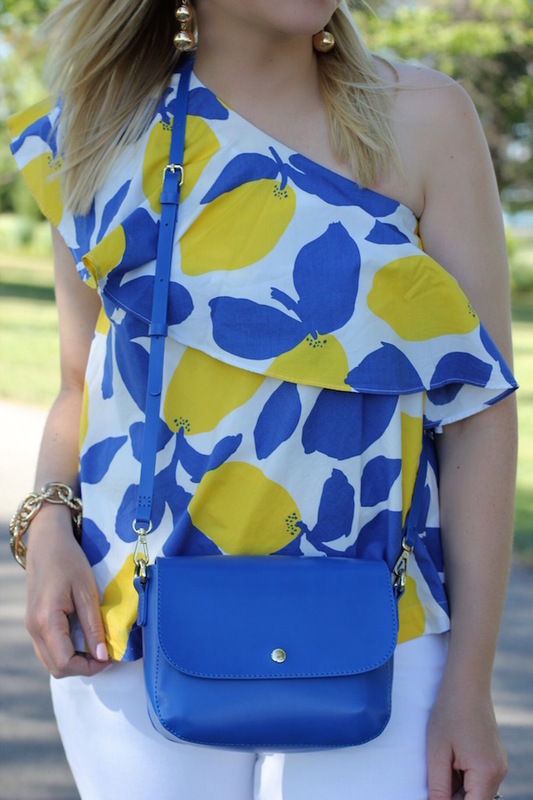 The Loft lemon collection is one of my favorites to date! It's so bright and cheerful! That top is darling! I love the lemons! Love this top! So cute!! Jacqueline---this is the best outfit ever!! So summery and looks perfect on you!! What a gorgeous statement you're making, Jacqueline. The entire outfit screams easy, breezy, Summer chic. So dang cute!!! Lemons for the win! Fun that you could spend some time with your mom and dad. 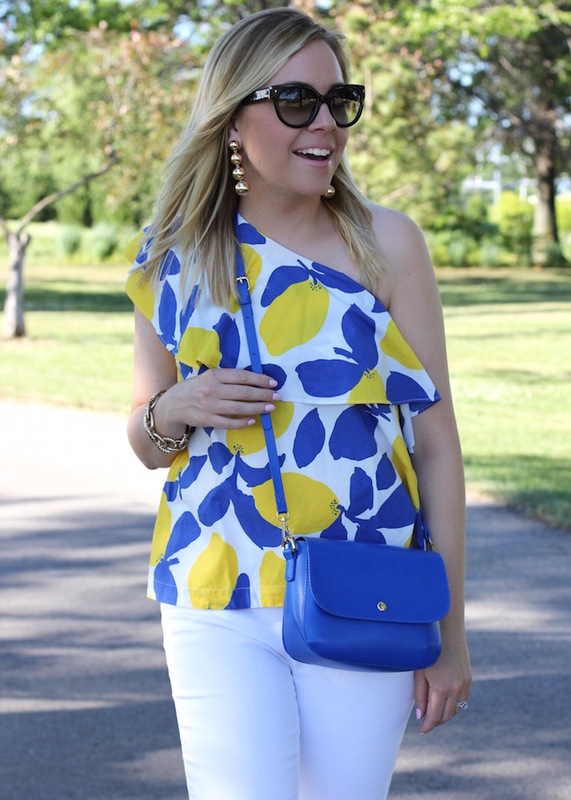 Such a killer summery blouse! Love that bright blue! Amazing look! LOVE that top! So fun! I love that top! Its a great way to add color to an outfit. The loft always has such cute things! Peace! I love this colorful print!! I need to head over to the loft ASAP. gorgeous look! You are so right, that top is ah-dorable. Love it. And are those jeans not the best? I have the same pair and Love them. You look like your ready for summer time fun. 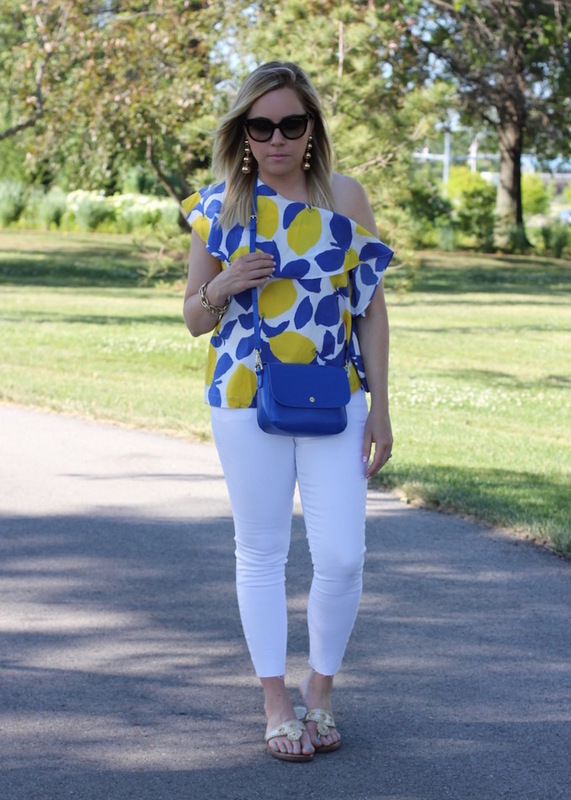 What a great summer outfit! 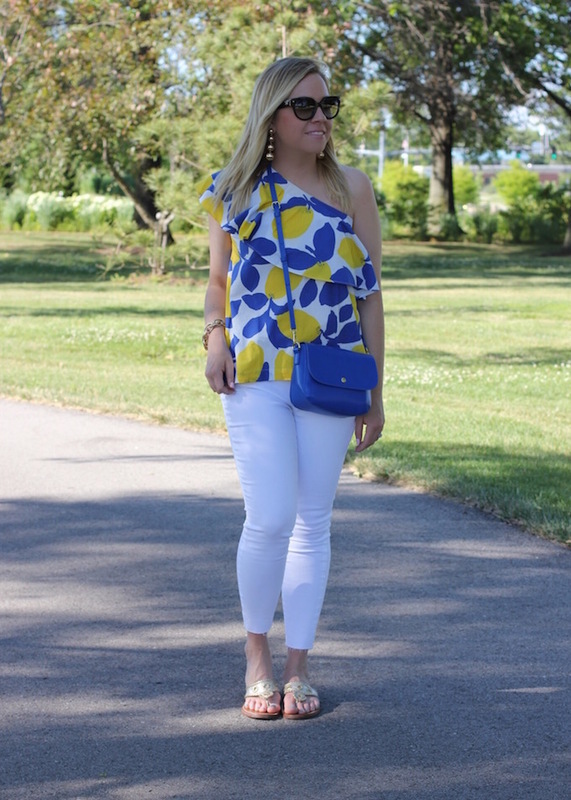 Love the bright pops of color against your white jeans! Super cute look! 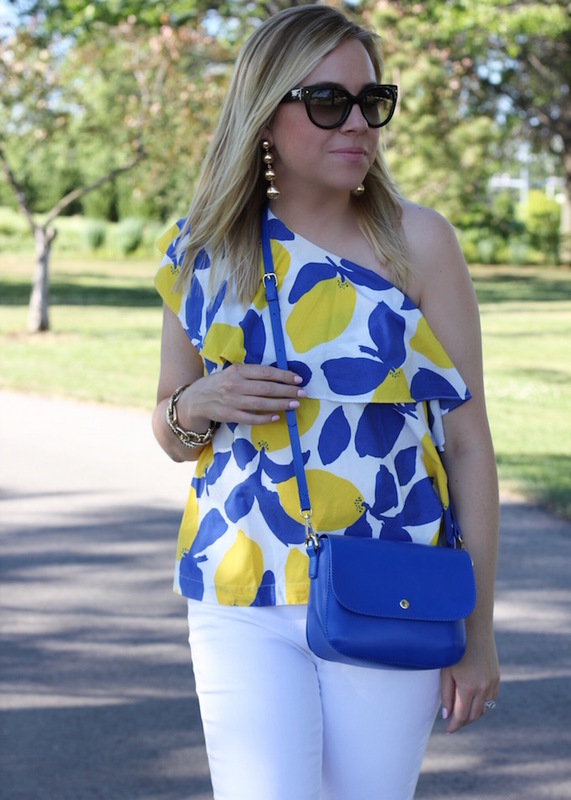 I'm loving this lemon top! So, cute and such fun bright colors! I also got that bag in my Charming Charlie box and can I just say, I wasn't sure how in the world to wear it. You nailed it! So perfect with your top. That top is just adorable! 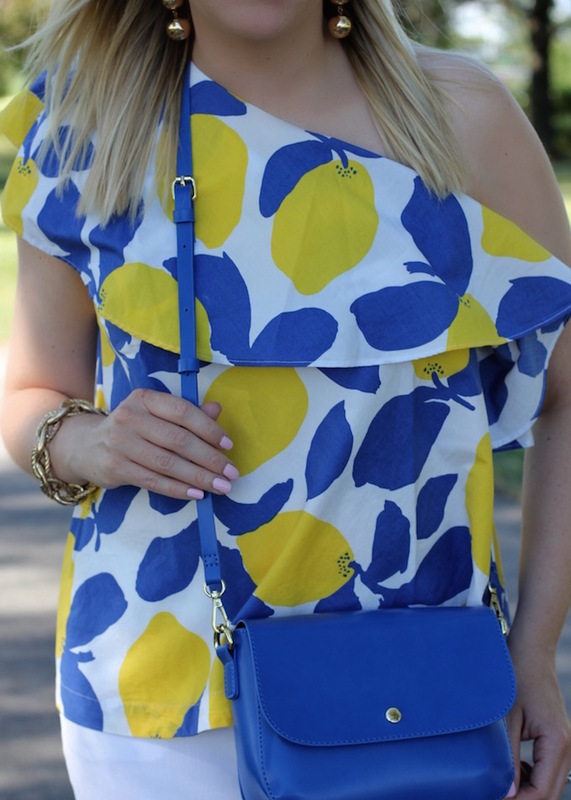 I love the bright colors and print! 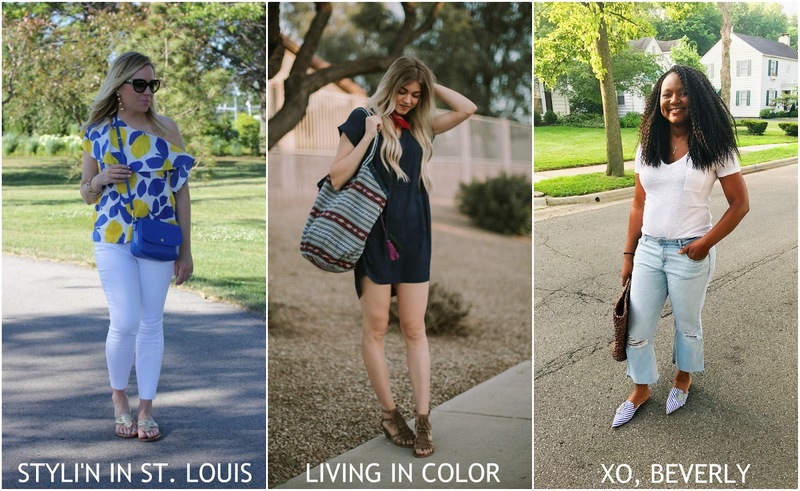 I know you're talking about summer sandals in this post but I can't help but notice how adorable your top is!! That top is so fun! Love the blue and yellow. So cute! Love the outfit! Gorgeous sandals! Two of my fave colors together! You wear the one should well. 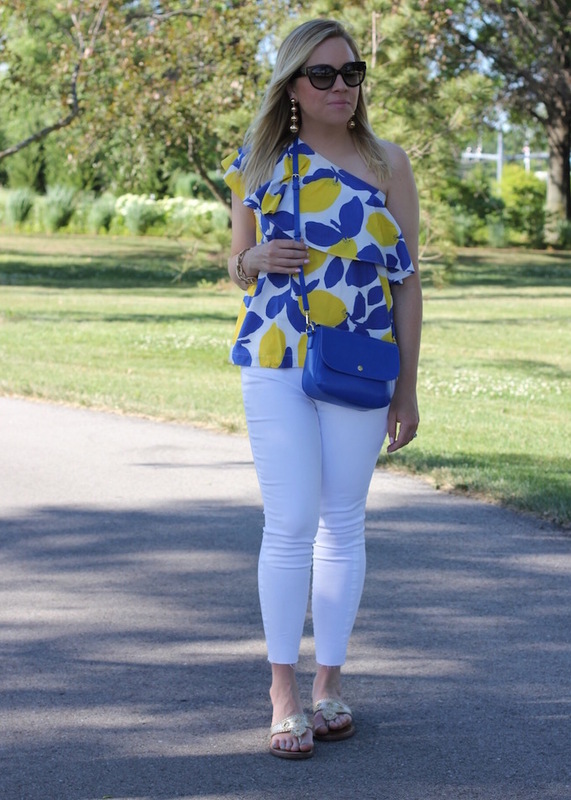 Great outfit and thank you for the linkup!